I'm Back! 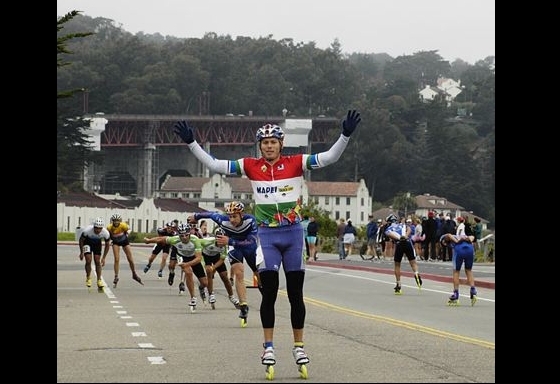 - Dane Lewis, 30, of Sacramento raises his arms in victory as he approaches the finish line of the San Francisco Inline Marathon. It was Lewis' first race in 11 months. Ryan Chrisler (in blue and white) finished second; Jon Elliott was third.